When designing a dash cam it's easy for manufacturers to focus more on features rather than benefits. That's why we end up with so many devices that look bland, have pretty much the same features, but lack that special touch to set them apart from the crowd. With its new dash cam, VAVA decided to do things differently. 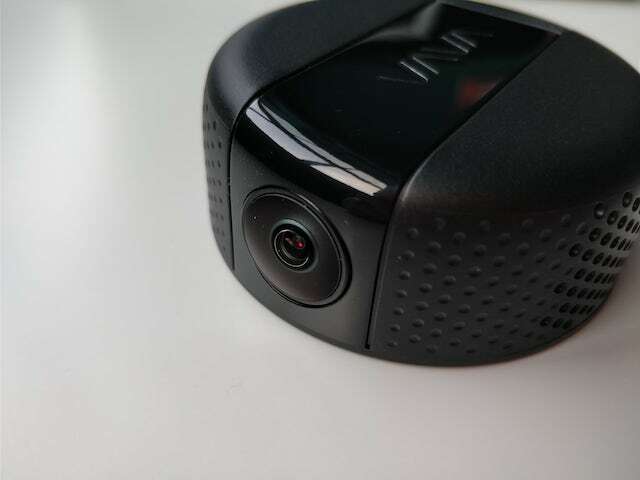 The VAVA Dash Cam is an intriguing proposition, featuring a cylindrical design and a magnetic mount connection, but no display or physical buttons. However, it's not lacking in features, as it packs lots of useful functionality. But how well does it work? I've tested it to find out. The VAVA Dash Cam comes with all the accessories that you need to set it up in your car and start recording right away. In the box you will find the 12V adapter, USB cable (with a GPS module attached to it), windshield mount, a remote control and a couple of cable mounts to help you route the cable on the windshield. It also comes with a 32GB microSD card (Samsung Evo Plus, in my case) already installed in the dash cam. There is also a small crowbar to help you separate the mount from the windshield, when you need to take it off, and the usual literature. The dash cam has an unusual design for a device in this market. It's got a cylindrical shape, with the lens barely sticking out, and a magnet in the middle to attach it to the mount. There are no buttons to turn it on or off nor a display, like you can find on many dash cams. It looks pretty cool. It is super easy to install as well. The magnetic mount allows for a 360-degree rotation and the joint on the windshield mount lets you tilt it in any direction you need. It's the most user-friendly dash cam to install of all the devices I have used. And the magnet is powerful enough to hold it firmly in place over bumps and rough sections on the road. The lack of a display and buttons may lead you to believe that it is not easy to use as well. That's not the case. VAVA has a nicely-designed mobile app that lets you configure the dash cam's main features in just a couple of taps. And the device powers on and off automatically when the adapter receives power from the car. Speaking of the app, it's really well made, featuring lots of useful information about the dash cam. It gives you access to an installation guide, user manual, access to all the photos and videos, a travel log and firmware updates, on top of the camera controls. What else? 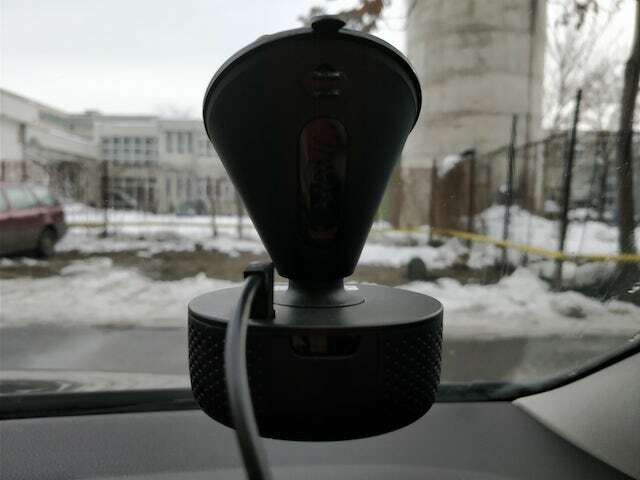 VAVA included a GPS module on the microUSD cable that enables the dash cam to add your speed at the bottom of the videos and give you a log of your locations. That feature, like the voice recording option, can be disabled in the app, in case you do not want to use it. The remote control that's included with the device is meant to be used in those occasions when you want to manually trigger a recording or take a photo. Once it's paired with the VAVA Dash Cam, it will take a photo when the button is pressed once and a video when it's held for three seconds. You get an audible feedback when that happens. It's a set it and forget it approach that works well. The only time when you need to enter an app to control the dash cam is when you want to enable or disable the parking mode functionality. In this mode the VAVA Dash Cam will turn on automatically when it senses a collision and records a 20-second video of the incident. It's got a built-in battery (320mAh), so you don't have to keep it plugged in to use this feature. The VAVA Dash Cam features a Novatek NT96663 processor and a Sony IMX291 sensor with an F/2.0 lens. The device is capable of 1080p video recording at 60FPS and 30FPS, as well as 720p at 30FPS and 480p at 30FPS. For this review I opted for the first option, as it provides the smoothest video and the best-possible quality. In 1080p 60FPS mode, the bitrate is 17Mbps, which means that you will need around 7.5GB of space for an hour of video. Since the VAVA Dash Cam is configured to run in loop mode, it will automatically delete the oldest video to make room for new content. That being said, with a 32GB microSD card you will be able to store under four hours of video. But what's the quality like? Well, it's very good. There's plenty of detail in the video and traffic signs and license plates are easy to read in both daylight and low-light conditions. The video samples have been uploaded to YouTube without editing. However, YouTube does apply some post-processing algorithms, which may impact quality. VAVA offers firmware updates for the dash cam through the mobile app. 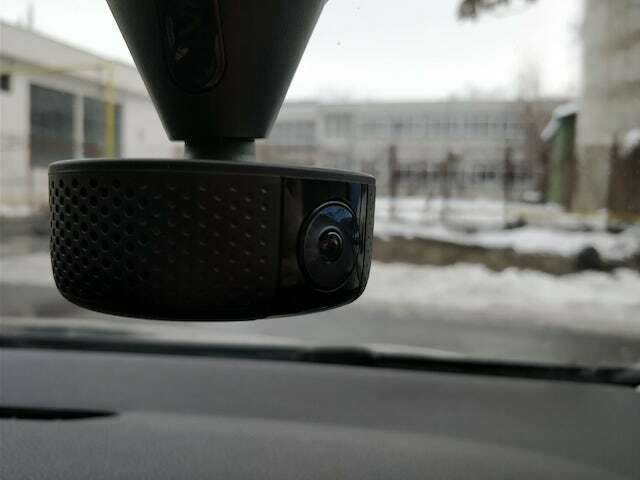 At the time of writing this article, my Dash Cam review unit is running version 1.1.0. 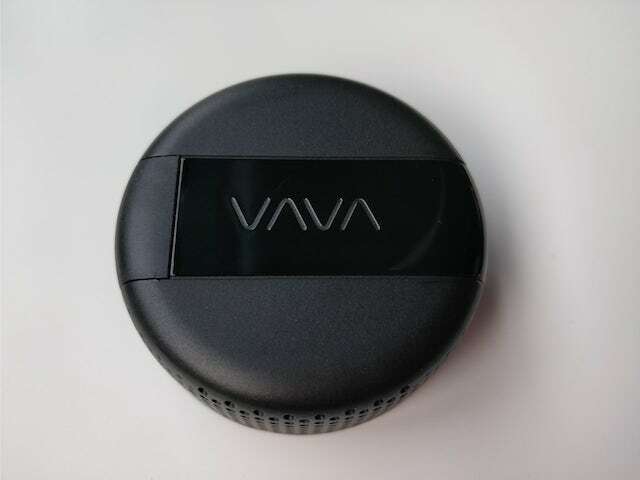 Since updates are easy to distribute and VAVA has released one already, after less than two months on the market, the device should be well supported going forward. The VAVA Dash Cam is an attractive proposition, featuring an understated design, solid build and good video quality. It's also well-priced, being available for $119.99 on Amazon.